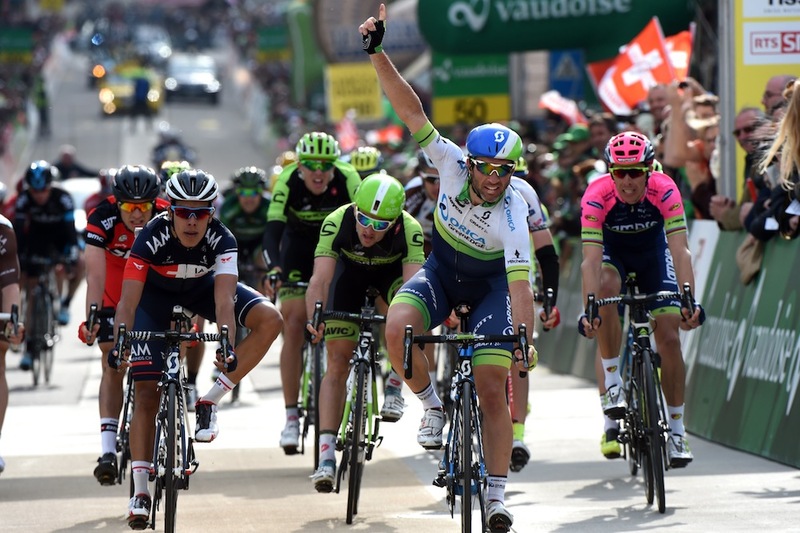 That, in a nutshell, was how Michael Albasini (Orica-GreenEdge) won stage two of the Tour of Romandie in the picturesque town of Saint-Imier. 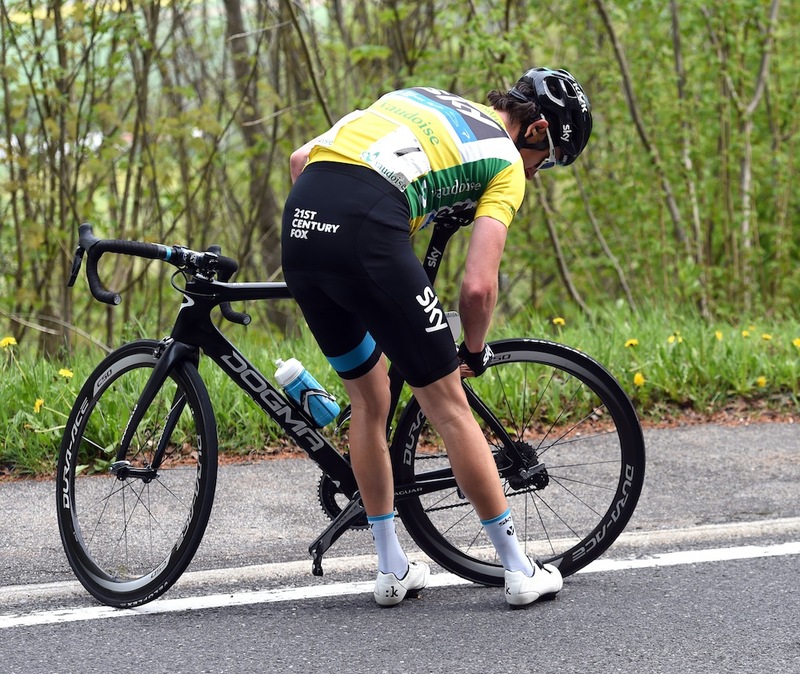 After Team Sky and Peter Kennaugh in particular had brought back the day’s (two man) break, a flurry of attacks and accelerations had thinned out the bunch to the point that there were only 49 riders left in the front in contention for a stage win. It was precisely the sort of situation in which Albasini thrives. Albasini not only took the stage, he took over the race lead after Geraint Thomas, the overnight leader, struggled and ultimately failed, to get back to the peloton after a puncture on the final tough second category climb. The race was well and truly on, inside the final 25km and the team (or at least directeur sportif Nico Portal) was philosophical. Thursday’s third stage, 172.5km from Moutier to Porrentruy features four climbs, two of them rated second category with the final third cat climb 25km from the line. Under normal circumstances, you’d bet on Albasini being somewhere near the front again. A Swiss rider in a strong team wearing the yellow jersey?